Built for use in the most severe conditions, the OS1 gear is tough, totally weatherproof, breathable and perfectly at home on any ocean crossing. This jacket features seven pockets for supreme versatility. The jacket’s high collar, wraparound face guard and peaked hood offer the best possible protection from extreme conditions. High-performance 4-layer shell fabric is durable, waterproof and highly breathable, making it excellent for extended use. 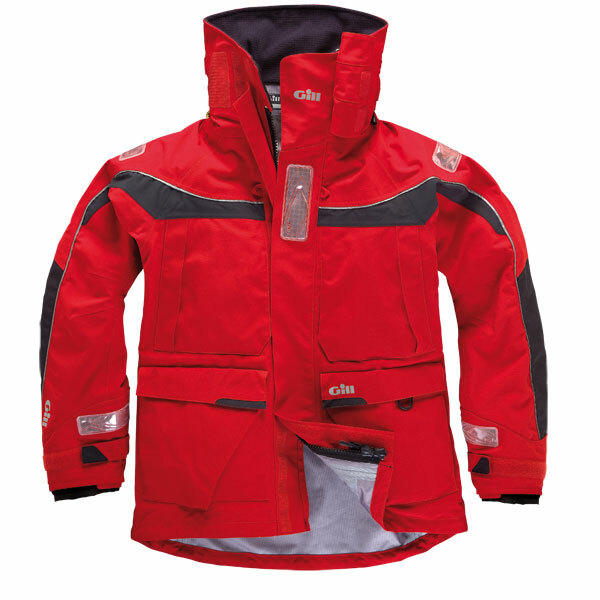 Other jacket features include a double front storm flap, adjustable cuffs with PU inner seals for watertight comfort, gridded thermal inner collar and chin guard plus handwarmer and cargo pockets. Imported.